Welcome to All Souls Catholic School which is located in South San Francisco. We are a very proud school that values the child as the core of our ministry in Catholic Education. We see our children as the future leaders in our global society. 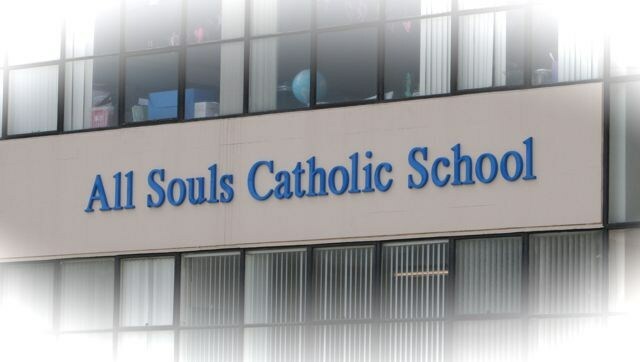 At All Souls student education includes moral and faith development, academic studies, sporting and cultural activities, and social justice education. All Souls Catholic School is accredited by WCEA and WASC and is supported by the Catholic community of All Souls Catholic Parish. The school staff is a group of dedicated professionals who value and collaborate with parents in educating their children. Parent participation with the myriad of school activities is second to none. One of our greatest strengths is our open communication between all stakeholders.